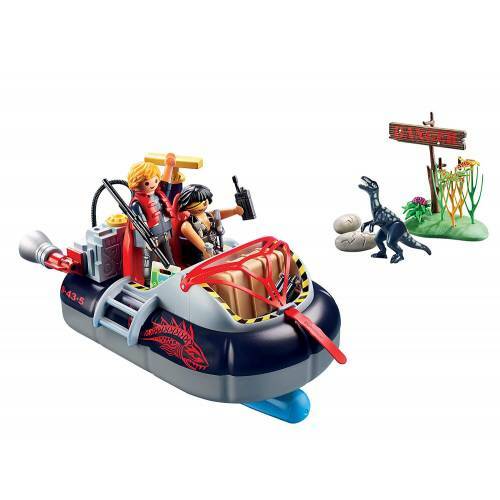 Set out on an exciting chase with the Playmobil 9435 Dino Hovercraft with Underwater Motor. 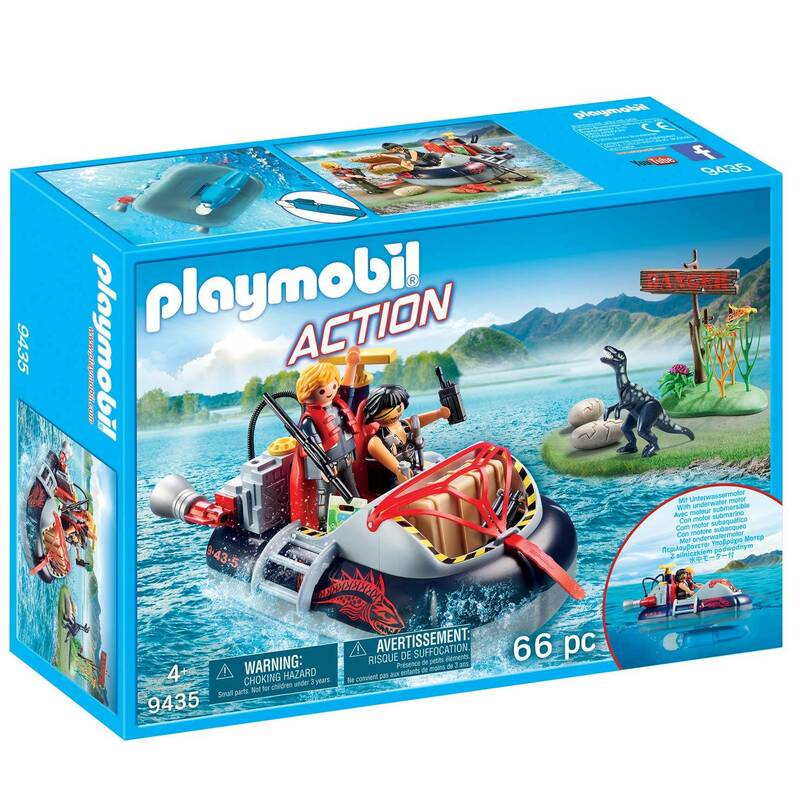 The hovercraft can float on water and the included underwater motor can be attached to propel the boat along. 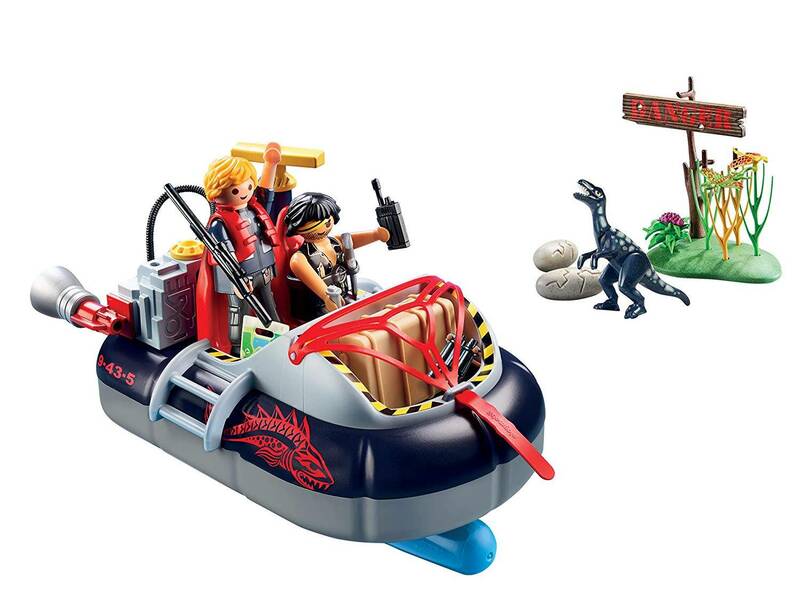 The set also includes a raptor and a storage box, perfect for transporting precious dino eggs. With lots of exciting accessories and 2 Playmobil figures.